When you plan your wedding there's one area that often gets too little attention: transportation. In today's world we hardly think about how to get from A to B on time, because it's usually so easy. But a wedding requires a little more thought, since you need to be on time in multiple places often at the same time, or so it seems. So, think about Where, When and How. Map out a route from home, to the wedding ceremony, to the reception location. Travel them a few times and note how long it takes. Considering the rehearsal you'll do this naturally, anyway. Select a backup route for each leg, since road closures are always possible, especially for a winter wedding or during the rainy season. Advertise that information to everyone who needs it - parents, bridesmaids, groomsmen and other members of the wedding party. Since all may be coming from different directions, you can't plan for everyone. But encourage them to follow the same method (practice run and backup route). And, it can be helpful for them to know your routes since they may need to come to the rescue if you're late or stuck. Of course, you don't want to just get there. You want to get there in style. That opens up a lot of fun possibilities. Limousines are a common method. Since few own one, they're most often rented. Prices vary widely depending on the type and location. Check out the car in advance, though, so you don't get any surprises. Be prepared to ask (politely!) some probing questions. Companies vary quite a bit in terms of customer service, reliability and other factors. The cheapest isn't always the best alternative. Factor in the driver's tip to your budget, as well. Consider size too! Some are really just sedans. That might do for just the bride and groom if your budget is really constrained. But a true limousine will have space to at least seat four comfortably. Don't forget that the wedding gown takes up more room! 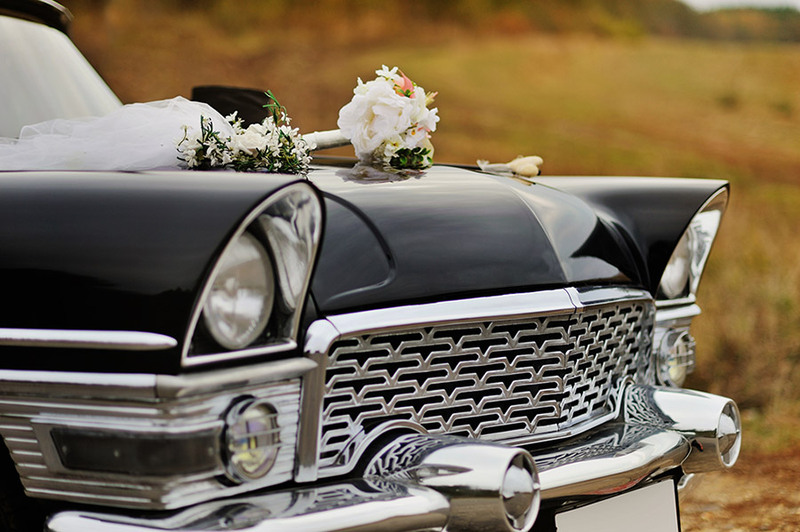 A variation on the theme involves renting a classic car. It might be as simple (but great looking) as a 1952 Woody station wagon. Or, it could be an elegant Rolls Royce from just about any year. The latest model of Bentley makes a fine impression. For a beach-themed wedding the '57 T-Bird is the ultimate, but keep in mind that you'll be very tight on space. But an automobile is not the only way to get from here to there. A trolley is a great way to go if you get married in San Francisco or somewhere else they run. A horse drawn carriage is a highly romantic and stylish option. New York has dozens. If you're getting married in Europe, think about renting a gondola in Venice or a canal boat in Germany. You might even find the bicycles in Tuscany to your liking. Let this be one of the fun aspects of planning your wedding. Transportation may sound dull, merely practical. But it can be one of the most fun things you'll do during the whole planning, not to mention the actual wedding.